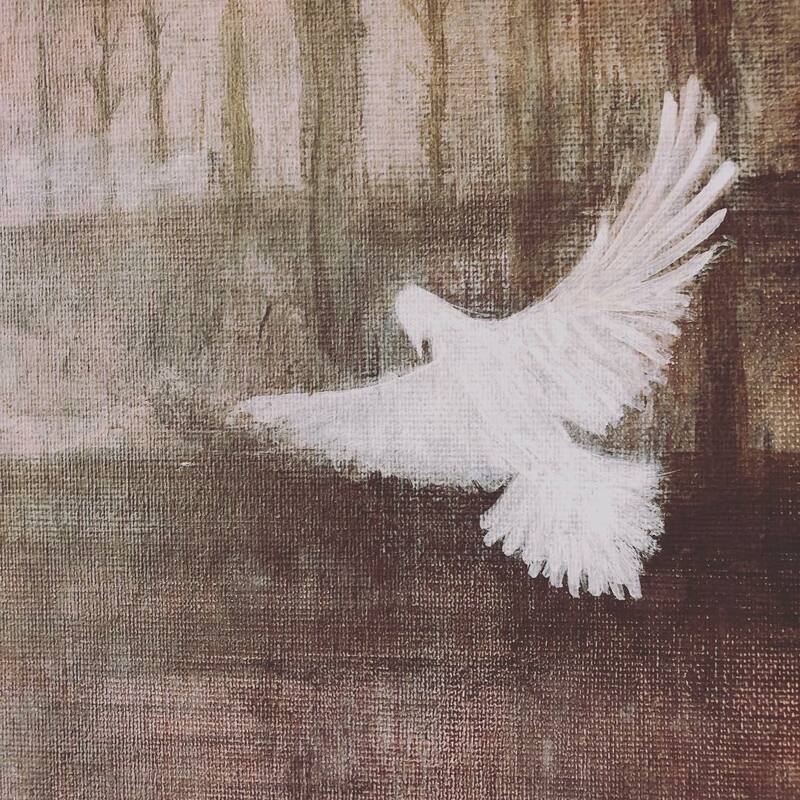 ​The dove follows Noah’s flood to promise the end of calamity and the re-emergence of peace; in Sufism it symbolises the decent of Holy Spirit. ‘Every spiritual step is the result of a victory over forces of inertia or destruction’ teaches Dane Rudhyar. Perhaps without the stressful calamity we would not be able to know what spiritual peace is, and its sacred value. We are promised that there will be a spiritual blessing at the end of time of troubles. The image is about humanity’s recognition of a superior, transcendental perception of the nature of reality. Knowledge of it enables us to succeed in any field to which we apply ourselves, by fitting our desires and plans into the cosmic framework. This attracts support and minimises obstacles to achievement, especially those related to self-doubt and ambiguity of intention. The message-bearing white dove carries its communication in metaphorical form, and not everyone has knowledge of how to decipher the secrets. For those who have taken the time to learn the dove’s coded language, there are always signs that show of unfailing divine favour for a faithful heart. 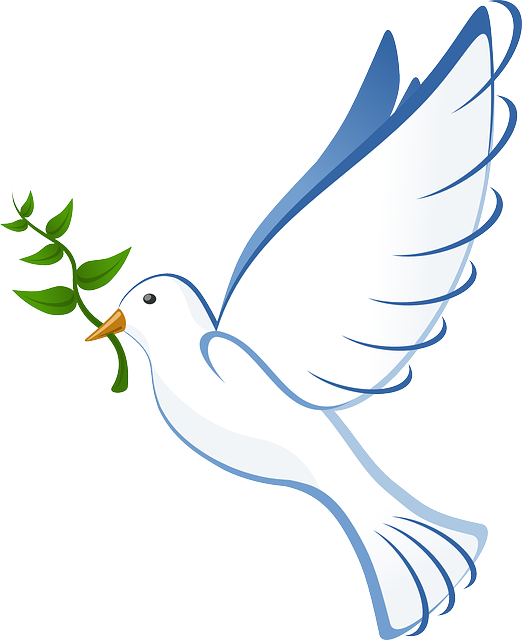 The dove is used symbolically in a wide range of cultures and religions; it generally points to the delivery of a universal, sacred message of purity, peace and love. It stimulates spiritual conviction, which is a source of inspiration and assurance; it generates confidence, and the power of certainty. When we have it, we somehow exude an aura of rightness of being, which influences people to believe in and endorse us. Such inner faith is a double-edged sword however; it can as easily bring about sanctimonious self-deception as it can deliver wisdom and strength of character. Also it can be can be very dangerously wrong – invested in unsuitable ideas and allegiances. We are all inclined to project our prejudices onto everything we see and hear, and then an unconscious distortion of understanding inevitably occurs. We do need some particularity of belief to underpin our life strategies, yet it is imperative that we monitor and control what we choose to believe. Since what we think governs what we create as our life experience, the mind, as the first agency of creativity, needs to be trained to avoid any negativity or unhelpful bias. Spiritual insights as these are no less real because an analytic, reasoning mind may choose to dismiss them as naive credulousness. One person knows of the subtle realms, the next does not, and each is convinced of the other’s error and foolishness. Let those who doubt live in doubt; those of faith will live in faith. The special gift for knowing when to act, and what to do, comes from something deeper than just rational thinking. A graceful blend of trusting conviction and reasonable doubt is a powerful mixture in a disciplined mind, and when we open up to balance our thinking mind with more subtle perceptions and feelings, then we find that consciousness expands to embrace reality more completely.